Do you feel deeply called to the vocation of marriage? Are you frustrated by the wait and the emotionally draining dating game? Is your faith constantly tested through the dark nights of the soul, as your heart longs for fulfillment – through Christ – in the vocation He has written on your heart? This 40-Day Devotional Journal tackles all of these issues and more! It is meant to strengthen your faith and encourage you on the journey. You are not alone. Throughout these 40 days, you will read excerpts from women – sharing their personal struggles and life-learned lessons. You will be strengthened in your discernment process, spiritual goals, commitment to remain true to pure desires, and use this time as a way to grow in greater virtue for God’s very unique future plans for your life. Together with scripture verses and support from the saints, you will be given daily journal prompts – leading you to gently reflect, examine, and grow your relationship with Christ in this specific season of single life. From a very early age, I drew close to our Lord, and although not from a very devout household, I found myself speaking with the Lord often throughout my childhood. Among these years of childhood innocence, there were a few very distinct spiritual revelations from him – one of which was about my future vocation. Could This Help A Friend? Pass on the love to a single sister who could also use some inspiration and hope! What a great opportunity to connect and talk about the journal together. The BOGO offer gives you a second workbook 50% off! One of the things I loved best about the 40 Day Devotional for Catholic Single Women were the personal stories. It can be very discouraging when you’re single and really desiring to enter into your vocation. But hearing such a combination of stories constantly reminded me that God is truly in the love story writing business, and that His timing for every aspect of our lives is perfect! 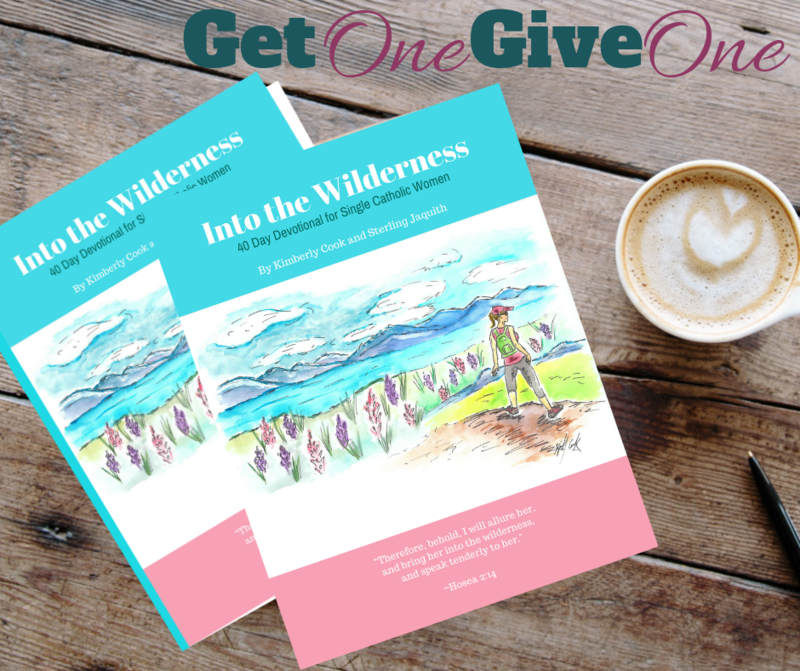 “Into the Wilderness is must-read for young single Catholic women! It has helped me grow during this time of waiting for marriage, both in self-knowledge and in relationship to God. 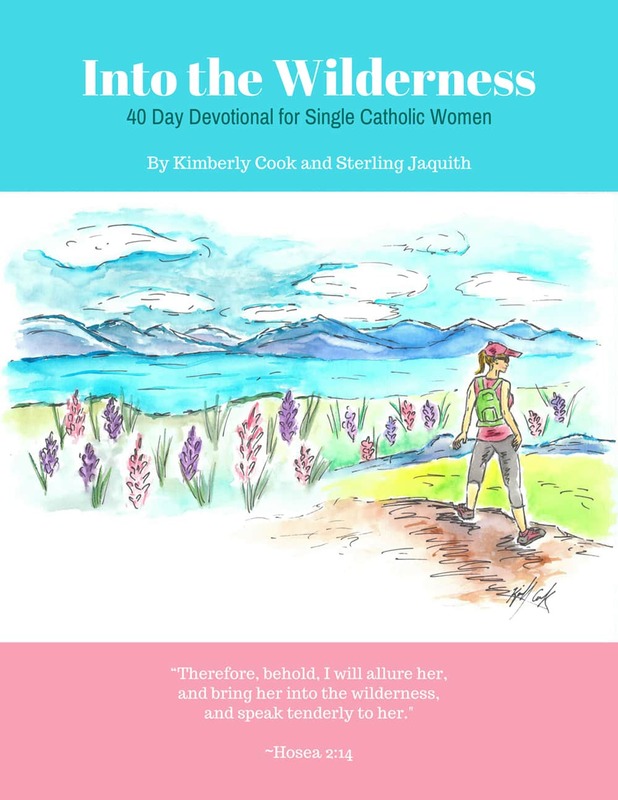 “Being a 30’s something unmarried Catholic female called to marriage, I found encouragement in Into the Wilderness: 40 Day Devotional for Single Catholic Women. “I found myself thinking, ‘These are my thoughts before me written by another’s hand.’ Both a practical and spiritual devotional that is succinct in words but broad in topics, it challenged me to evaluate my weaknesses and strengths; fears and doubts; and, most importantly, reminded me that I’m not alone in my search for the one with whom God wishes me to wed.
“I was looking for a way to talk to my sixteen-year-old daughter about the way she views herself and the way she will approach dating as she discerns her vocation. “Into the Wilderness” provided a guide to help me talk to her. 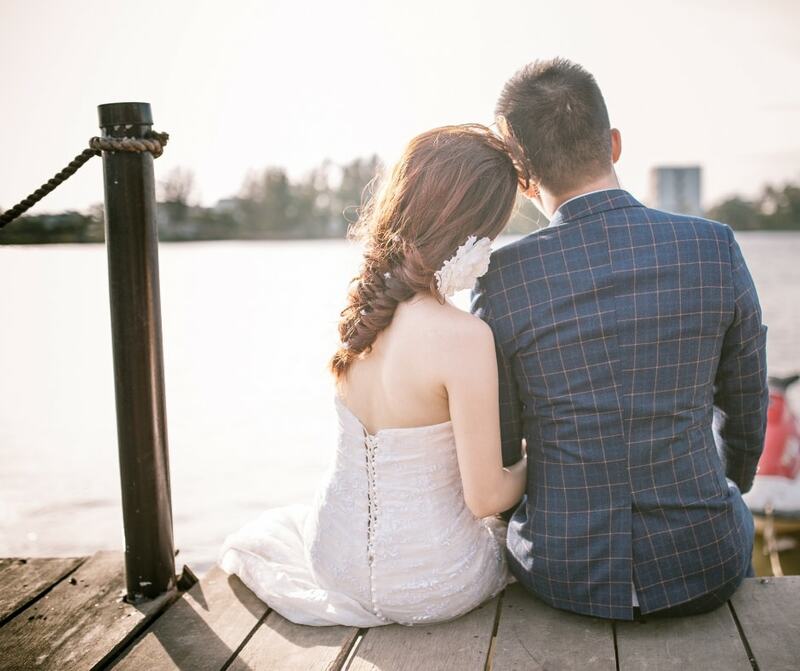 It gave her some “food for thought” about being happy in her current place in life and opened the door for us to have conversations about seeking out a potential future spouse. “Because she is only 16, not all of the devotions applied to her (she has not been on a date yet), but I believe it helped open her eyes to a future her. As her mother, my current dating fear for her is that she will “fall” for the first guy who shows her any small amount of attention. This workbook helped us to talk about qualities to look for not only in a future spouse but also in friendships. “We enjoyed the personal narratives from other young women at the beginning of each devotion. They reflected on personal choices they had to make during their single life and also while they were dating. Several devotions reflected on being happy as a single woman and how to use that time to develop a deeper relationship with God.